Casio has done a wonderful job developing many of the lines of instruments attached to their name. They have a number of great digital piano models, but with their specialized Privia line their really take things to another level. 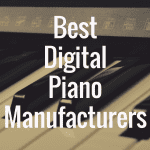 The amount of class and precision contained in each one of these digital pianos is simply delightful, and it’s a pleasure to come in contact with any of these machines. Below, please enjoy the interactive guide that was created to make your piano purchase easier. Compare the Casio PX750 to the best pianos in its class based on weight, price, and even customer reviews from Amazon.com. Privia takes on a higher class representation of what Casio can provide. It’s been well documented the struggles Casio has had to go through to put off the moniker of being toy makers, and their Privia line is one of the main reasons they’ve been able to accomplish that for the most part. Simply put, Privias are exclusive and exquisite pieces of machinery, and it would be quite a good feeling for any piano player to get his or her hands on one of these. The Privia PX-750 is no different. 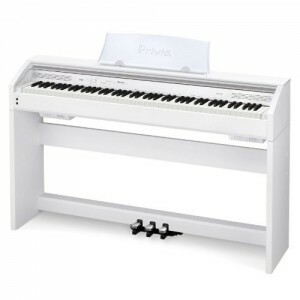 The Privia line is divided into two categories, mainly digital stage pianos and digital upright pianos. Both categories have a particular feel to them, all bring something different to the table. Some of the stage pianos are the Casio PX150, Casio PX-350, and the Casio PX-5S. The PX-750 is part of the upright piano category, which also contains pianos like the Casio PX-780 and the brand new Casio PX-860. Many of the same elements run throughout all of these, such as the four-layer grand piano tone and a graded hammer keyboard action. This upright piano can come in three scintillating color choices. There’s the black wood tone finish, which is the most well-known look and the one people are comfortable with. However I’ve been able to see the other two finishes, and they’ve been quite pretty in person. There’s another white wood tone finish, which gives off an ivory look, and a marvelous oak wood tone finish, which has a classy, brownish earth tone to it. The color finish runs throughout the length of the PX-750’s cabinet, which provides a sturdy structure for the encasing and interface of the piano. The 750 can be easily assembled, or you can arrange for it to be assembled at the nearest dealer and delivered to your front door. One of the great parts about it is its sliding cover which works well to keep dust off the keys. Despite all the assembly the piano shouldn’t be a menacing figure in your home. For all its measurables it’s still only about four feet long and just over two and a half feet high. Weighing in at about 70 pounds after assembly, it’s still on the lighter side of most digital upright and console pianos, so there should be no problem fitting it in a place like your living room. One of the nicer things about the construction of this digital upright is that you will have a built in three-pedal unit for the piano. A lot of piano players bypass this wonderful teaching unit, not knowing the power of having those pedals at your disposal. Advanced piano players know its worth, and wouldn’t accept anything less on such a piece of fine machinery. 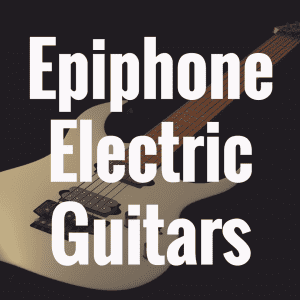 Casio has also worked hard to develop its Damper Resonance and Hammer Response Simulator, which works hand in hand with the pedal unit to give an unprecedented and most realistic experience when using the sustain. It replicates the action of a damper pedal in a real acoustic piano as you can actually hear the response of all 88 strings being pressed. The construction of the piano’s keybed is also wonderful. The piano has the customary 88 keys, and provides an extra edge by giving each and every one of the keys a nice ebony and ivory finish. 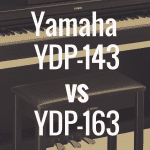 This is a wonderful addition that I haven’t seen on most digital pianos – the closest thing I’ve seen is the Yamaha Natural Wood graded hammer system which actually has wooden keys. The ebony and ivory texturing can also be found on some of the other models, and takes the Privia line to whole new level of class. The Privia PX-750 has Casio’s own keybed system, with their Tri-Sensor Scaled Hammer Action. This system showcases Privia’s high end technology with hammer replicated keys. 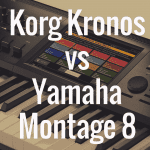 Each key has three different sensors which measure the speed of the hammer against the velocity of which the key is pressed, producing an exquisite and detailed piano performance. The scaled hammer action of the keybed is backed up by Casio’s Acoustic and Intelligent Resonator (AiR) system, which uses over three times the memory of previous Casio generations with the help of four different layers of grand piano tones. This sound system brings to life the two 8-watt, 12 centimeter speakers, almost making it seem as though the generous sound is vibrating through the bowels of upright piano’s cabinet like a real piano. I would be remiss if I went on without mentioning the superior grand piano tone. It quickly becomes evident that Privia spent a great amount of time perfecting the concert grand piano sound, and the quality that comes out of the PX-750 can make you want to buy the machine for that alone. However that’s not all this piano has, as there are 17 other tones to choose from. There are other grand piano sounds, electric pianos, organs, basses, strings sections, a harpsichord and a vibraphone. The 750 has wonderful split, layer and dual functions, and I was highly impressed by its ability to split the piano into four different instruments, with two sections of two different instruments layered on top of each other. The piano has wonderful MIDI capability, and comes with a standard USB connection for you to link with any computer or tablet. There are also 2 distinct headphone jacks, so this machine is great for student-teacher piano sessions or even a lovely duet. There’s no doubt when you sit down with the Privia PX-750 that you’re entering a new level of class, and generally hefty price is expected when dealing with higher end digital pianos. 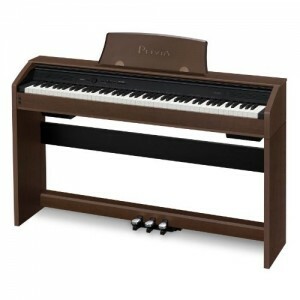 While a price range of $800 to $1,100 – $400 if you buy the piano without the cabinet – is nothing to sneeze at, after seeing similar products go for around $2,000 I think the PX-750 is quite the bargain. 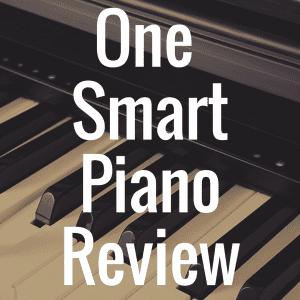 Please visit Digital Piano Review Guide for more great piano reviews! 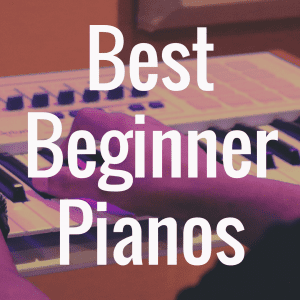 1) What’s the Best Casio Digital Piano? 2) Casio PX-860 vs PX-850: Which is Better?